Healthy Habits Review: Late to the coffee party? Healthy Habits Global launched in November 2013 and are based out of California in the US. The company operates in the coffee MLM niche and is headed up by Founder and CEO Ted Fitzgerald (below right). Fitzgerald’s Healthy Habits corporate credits him with a ‘17 year career in direct sales‘. Prior to his direct sales career, Ted built many businesses from the ground up including athletic clubs, restaurants and other retail establishments. Ted has hit the top positions in every company he has been involved in. He has build (sic) organizations of over 55,000 distributors with over $10 million in yearly group revenue. On Fitzgerald’s LinkedIn profile he lists himself as having been an affiliate of Gano Excel from February 2009 to February 2011. In February 2011 Fitzgerald appears to have left Gano Excel to work for Symmetry Software (non-MLM). Gano Excel market a Ganoderma based coffee, with Fitzgerald’s time there appearing to be the inspiration behind Healthy Habits Global. Despite mention of a seventeen year plus direct sales career, I was unable to find any further information on Fitzgerald’s involvement in the MLM industry. Read on for a full review of the Healthy Habits Global MLM business opportunity. 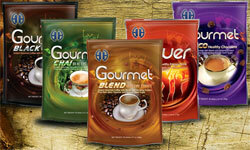 Healthy Habits Global’s flagship product is a Ganoderma mushroom infused coffee. Healthy Habits coffee is enriched with Reishi (Ganoderma Lucidium), one the most versatile all natural herbs know (sic) to man. Every great tasting cup has 154 antioxidants and 200 phytonutrients that promote the body’s ability to function in an optimal state. Unfortunately no retail pricing is provided on the Healthy Habits website, with the company demanding visitors enter a “sponsor code” before they’ll reveal how much their products cost. The Healthy Habits compensation plan pays upfront retail commissions and residual monthly commissions via a unilevel compensation structure. Affiliate rank advancement and car bonuses are also available. The Healthy Habits Fast Start Bonus pays out on all orders made by a newly recruited affiliate or retail customer, within thirty of joining the company (affiliate) or making their first product order (retail customer). The Fast Start Bonus is paid out weekly. Note that an affiliate must have at least 100 Personal Volume (PV) a month in sales orders to qualify. Residual commissions in Healthy Habits are paid out using a unilevel compensation structure. A unilevel compensation structure places an affiliate at the top of a unilevel team, with their personally recruited affiliates placed directly under them (level 1). If any of these level 1 affiliates go on to recruit new affiliates of their own, they are placed on level 2 of the original affiliates unilevel team. If any level 2 affiliates recruit new affiliates they are placed on level 3 and so on and so forth down a theoretically infinite number of levels. Healthy Habit’s Prosperity Bonus functions as a rank advancement bonus, paying affiliates a one-time bonus for qualifying at certain affiliate membership ranks. Each of these packs comes with a selection of Healthy Habits products and (as far as I can tell), don’t have any impact on an affiliate’s earning potential in the compensation plan. Yes a bajillion people drink coffee each day and we’ve all seen the “second only to oil!” marketing spiels, but at the end of the day this is an MLM niche that is well populated and by all accounts, has been doing pretty well for a number of years. Ganoderma mushrooms are Ganoderma mushrooms, and to your average person you’re going to have a hard time convincing them your mushrooms are somehow better. That’s if you can convince them of the benefits of drinking mushroom coffee to begin with. Most ailments and chronic illnesses are caused by pH imbalance due to toxin build up. Ganoderma Lucidum removes or neutralizes toxins so the body can rebuild its natural immune system. You will feel beneficial effects on day one, depending on your pH imbalance. Ganoderma finds and attacks areas of weakness or illness. If you take Ganoderma daily, you’ll feel distinctively rejuvenated and healthy. Healthy Habits don’t mention any specific illnesses, however they are clearly marketing their coffee as a generic “cure-all” of “ailments and chronic illnesses”. The above is taken from Healthy Habits own official affiliate marketing material mind and is what the company wants affiliates to use when promoting Health Habits. If you ask me they’re pretty much inviting an FTC review with that copy. Compensation plan wise Healthy Habits fares much better. In particular I like the distribution of retail sales down multiple levels. Mimicking the unilevel commissions (minus the infinity component), this should be a great incentive for affiliates to get their downlines generating that important retail volume. One thing I was a bit iffy on was the early recruitment qualifications that kick in from the very first affiliate membership rank (Marketing Rep). Granted this only ever extends to six recruited affiliates, it would have been nice to see some volume (particularly retail) qualifiers implemented over the first few affiliate ranks. A small number of team building qualification criteria is fine in the later levels but you really want to get those new affiliates focusing on retail sales early on. Other than that things look pretty solid, but again I come back to the whole “just another mushroom company” thing. Clearly Ted Fitzgerald has been influenced by his time at Gano Excel, with Healthy Habits pretty much offering the same product range. Why Fitzgerald left Gano Excel I’m not sure but I’d hope that, whatever the reason, he’s addressed it in Healthy Habit’s business model. What’s going on there I’m not sure but Healthy Coffee also market “EnerGI” branded beverages (same manufacturer?). As a potential Healthy Habits affiliate I’d probably hit up the warm market first by purchasing some Healthy Habits product and doing some actual tests with people you know. Try to get a real sense of how the product fares by just letting people try it, avoid the whole mushroom marketing spiel and mentioning the Healthy Habits income opportunity altogether. If you get a positive reaction then you might have a shot at marketing it, however if you have to harp on about the mushroom in the coffee and convince people they need to be drinking the stuff, then that’s something to consider for the long-term (sustainability by way of likely monthly re-orders). I think I’ll wait ’til a company comes up with a way to include all of the different, edible, mushroom species into a cup of coffee, then I’ll join the company. On the other hand, I’ll probably be waiting forever. Even if such an event eventually took place, how much overhyped, overpriced instant coffee would you have to sell into a saturated market to make a living, much less the “riches” promised by MLM companies ?? Healthy Habits is not trying to reinvent the Ganoderma enriched coffee industry. Our goal is to give people more choices, whether it’s a better tasting coffee or a compensation plan that is fair to the average associate or the seasoned industry veteran. Reps will have ways to market their HHG coffee business in more traditional ways that just isn’t possible with other nutritional coffee companies. Let me tell you about my personal experience with Healthy Habits Coffee. First of all, let me just state that I am not a coffee drinker, but I do enjoy the Healthy Habits Gourmet Chai Milk Tea and the Power Blast Energy Drink, both are enriched with Ganoderma. I tried my first cup of the Chai Tea after a red-eye flight from NY to California. Needless to say, I had quite a bit of jet lag and was not looking forward to standing on my feet all day at the event we had booked. Within a half hour of drinking my first cup I felt more awake, more alert and a smooth, natural energy. I knew that HHG beverages were non-acidic and pH balanced, meaning it wouldn’t bother my stomach. What I didn’t know was within 2 months of drinking my first cup my 15 years of suffering from SEVERE acid reflux was gone. I’ve heard similar stories from other people and countless others where they have seen and felt the difference, whether it’s an increase in energy, detoxifying their body or many other health issues. I know from personal experience that people truly FEEL THE DIFFERENCE and I’m far from alone. Now let me tell you a story about the 2nd day of this event. When we got to the booth there was a lady there waiting for us. She said that her sister had bought some coffee from us the day before and she just loved the taste of it. She had argued with the event staff because she did not want to pay the $12 admission price to get into the event, she just wanted HHG Coffee. She drove miles to come buy something she loved the taste of from the very first cup. If you can make a nutritional coffee that taste that good don’t you think you get a few hundred thousand or a few million people to switch over. HHG has been introducing their products to the public by letting people taste test them at large events. They use a sign that says “Can Healthy Coffee Be Delicious?” to peek people’s curiosity and try for themselves to see if what they are saying is true. At a 2 week event we attended I saw people who bought a bag or 2 of the coffee earlier in the show come by and purchase 5,10 and even 20 bags of HHG coffee. Two of them signed up as representatives on the spot. When people taste test the coffee they can’t believe 1) It’s an instant coffee and 2) It’s a nutritional coffee. As far as cost goes, HHG sells most of their coffees and teas for just 80 cents a cup. In the near future they will be introducing programs where customers and reps can get their coffee for as little as 15 CENTS a cup. As far as customers go. I want to personally thank the other companies for educating people on the benefits of drinking Ganoderma enriched coffee, because many of their customers have switched to HHG coffee because they LOVE THE TASTE! I didn’t understand it before, because I don’t drink coffee, but people are very passionate about their coffee. I see their faces and hear the “Ooohs and aaahhs when the take their first sip. Don’t take my word for it. Try it for yourself. There are over 2 billion cups of coffee consumed each and every day worldwide. In the Northeastern US and Canada Tim Horton’s is expanding like crazy? Looks like coffee is one of the few markets that is RECESSION PROOF! 81% of the population drinks coffee while 18% of the population takes nutritional supplements and we see thousands of nutritional companies on the market. How many Nutritional Coffee companies will the market allow? If HHG took just 1% of the coffee market customers HHG representatives would split $150 million dollars in commisisions every single month. I think there’s room for a few more millionaires in this industry. Stay Tuned. By the way….. Healthy Habits is not just a coffee company. Stay Tuned. The Best is Yet to come! Good marketing speech… filled with wishful thinking, anecdotal evidence, feel good promises, and a bit more of a teaser. You read too many company provided sales leaflets and too few common sense manuals, Jay. Why mess around selling something that only is consumed 2 billion times a day ?? Why not get into oil / petroleum ?? Inflate the price and sell it in larger than normally used quantities on a monthly or autoship basis with word of mouth as your sales tool. For “oil / petroleum” substitute “coffee” and you’ll be staring down the barrel of the reality of your MLM future. You don’t drink coffee and know “NOTHING” about it, its’ market or its’ consumers. All you know is what some salesperson told you about it as a POTENTIAL income source based on sales spiel with more usage of the word POTENTIAL than a library full of dictionaries. 1st off, thanks for writing about Healthy Habits global and Ted Fitzgerald. Your posts throughout the years help people learn about the happenings in our amazing industry. I feel that Healthy Habits Global has brought about a chance for the average Network Marketer who loves their Coffee, Tea and other Beverages to be able to Finally be able to have their Favorite Beverage which can improve their Health and also have their Pay too! The Unilevel Pay is set up very fair and the overall comp plan rewards the novice marketer strong enough through Daily Fast Start Pay to support their ability to take root, all the while giving the strong veteran marketers like myself powerful compensation through 1 time Bonuses on Rank Advancements. HHG also has the ever popular Car Bonus Program, thankfully though without the need for any promoter to be overburdened by being forced to have a newer car, get into to crazy finance debt or possible Repo just to qualify. In fact, it really should be Labeled as a Lifestyle Bonus since that is more of what it is. Jay brings up some good points, even if his post is marginalized for whatever reasons. Healthy Habits Global is “NOT” the 1st Coffee/Beverage MLM and will not be the last one neither. What will make this company stand out compared to the rest is partially the comp plan, partially the Leadership and partially the quality of the Ganoderrma based product line. As afar as any similarities HHG may have to any other Coffee MLM including Healthy Coffee, that is best left for the consumer who tastes our products to judge when they demo/sample the different products. I don’t know about how the potential customers/promoters of other Coffee/Beverage MLM’s feel when they sample their products, but I have seen from the experiences of my team and I in Healthy Habits that people are super excited and favorable about what we offer verses what they have been consuming. I believe the market has enough room for many companies as 82% of the planet drinking coffee means there is plenty customers and promoters for all the companies. Much success to all Coffee/Beverage MLM promoters. May we all help people experience coffee, Tea and other Beverages in a way that is less toxic for their bodies so they may enjoy life more. And that, my friend, is the bottom line. 2 billion cups of coffee consumed a day does NOT mean MLM recruits selling high priced instant coffee with dubious health benefits in more than a jar at a time quantities are going to be able to “cash in” and make a living, much less a profit. I’d like to open this by saying Thank You for the review on our Founder and CEO Ted Fitzgerald and our Company, Healthy Habits Global. Being introduced to the Direct Sales industry in 1977 by my Father, I’ve ALWAYS believed that as an INDUSTRY, as Eric Worre says, “We have a BETTER way”..
It’s interesting how those that WON’T take the Time and EFFORT it really takes to be SUCCESSFUL in this industry, OR they aren’t even OPEN to doing THEIR true diligence, are the first to “throw stones” if you will, at ANY opportunity out there. That being said, I for one, have ALWAYS taken flack from the “Uninformed” if you will, due to the fact that I don’t just “go with the flow”.. Thanks to the Baby Boomers, which I’m on the Cusp of, being born in ’66, TRENDS have been Established..Fast Food was the FIRST and it’s EVERYWHERE today! Look at the Health Issues it’s CAUSED..Big Pharma LOVES the fact that we as a Society are SICK and TIRED! Towards HEALTH and Wellness..WHY? The Baby Boomers are either ALREADY there or are fast approaching those “Golden Years”, and LOOKING for ways to stay YOUNG and Vibrant! Big Pharma, DOESN’T want US to be HEALTHY, that’s NOT Profitable to THEM! Since 2007,The NUTRITION industry has OUTSOLD Big Pharma and they are doing EVERYTHING they can to CHANGE that! RESEARCH has been conducted for OVER 4000 Years in reference to the Ganoderma/”Reishi” mushroom and it’s Healing properties are WELL documented…known in the Orient as “God’s herb or the “Spiritual herb”.. I, personally, PREFER to have a CHOICE of being Proactive instead of Reactive..I’d rather have HEALTHY “side effects” from Nutrition, than the Ill effects of Pharmaceuticals..
That’s just ME.. Now don’t get me WRONG, like “OTHERS” do and have in the past,I KNOW that Pharmaceuticals DO have their place, BUT, in ALOT of cases, not ALL, it’s BECAUSE that person DIDN’T treat their body the way they KNEW they should have to BEGIN with, it comes down to CHOICES..
Oh, and for the record, my Step-Father, who I grew up with, was a VERY Successful Pharmaceutical Rep. and entered the Industry in 1972. Here’s a thought, let’s TRY giving our body Nutrition, which is what we ALL NEED, and see how THAT works? That’s been MY mindset since I was a Teenager and I believe it NOW more than ever..
Our bodies are an Incredible Machine that GOD created, NOT Big Pharma..We are not meant to have SYNTHETIC substances in our system, that’s WHY Pharmaceuticals cause NEGATIVE side effects, so they can Prescribe MORE, and make MORE $$$! I “stumbled” across an Ad about 3 weeks ago and for the “average” person they probably wouldn’t have looked twice at it, but I’M not Average, I’ve ALWAYS been an “outside the box” thinker, and for the most part, some might think I’m “DIFFERENT”.. That’s O.K. because I AM.. I wasn’t Skeptical, that means you basically don’t trust what you see or hear..being around the Direct Selling Arena a Majority of my life, I know one when I see it,a Skeptic that is, TRUST ME! I DID do my Diligence and even went to Anaheim and met Ted Fitzgerald and Marc Shamus and sat “belly to belly” at the Corporate Office..We ARE New, actually NOT even OFFICIALLY Launched YET, but will be VERY soon! Another HEALTHY Beverage Company? YES, but not just ANY company, THIS is Healthy Habits Global! We ARE different..Our product is just BETTER than the “others”.. Tastes and Smells BETTER,up to 4 TIMES more Ganoderma and we use the TOP 6 species along with Ginseng.. Non Dairy, Aluminum FREE creamer and Natural Cane Sugar for sweetner.. Did I mention it TASTES better! The BOTTOM LINE is this..MOST of us are LOOKING for better Health and Wealth.. Coffee and Tea IS the Most consumed Beverage in the WORLD next to only WATER.. There’s PLENTY of room for Healthy Habits and UNLIMITED income Opportunity.. but just like at your J.O.B. YOU have to WORK, or you won’t EARN ANY $$..
Two questions I’ll leave YOU with..
1. Are you CURRENTLY working to build YOUR DREAM or your Employers? 2.Does the CURRENT Coffee or Tea you are Drinking give you ANY Health BENEFITS and are they PAYING you or are you paying THEM? It’s a SIMPLE Choice and answer..Wouldn’t YOU Agree? Even if there WASN’T a business opportunity behind Healthy Habits, I would be a consumer of the Products, simply because it tastes and smells Fantastic and I have Peace of Mind that I’ve just turned a KNOWN BAD habit into a HEALTHY Habit! To ME, that’s a NO-Brainer! Thanks Ted! I’m EXCITED to be a Founding Promoter and look forward to the FUTURE! EVERYBODY I’ve SHARED this with, thus far, has LOVED IT! Thank you for mentioning Healthy Habit Global. This tells me we are on to a great start. Because if we were not worth mentioning, then this article would never have been written. All major Coffee MLMs has a predecessor which in some way shaped their formation. HHG is no different and was formed by Ted to create a Higher percentage of Win-Win for both Promoters and Customers compared to what the predecessors experience. 80 Cents per cup of Gourmet Coffee is hardly selling high “inflated” priced coffee. Coffee Houses or establishments that sell coffee charge a lot more than this mere 80 Cents and the coffee they sell is not Gourmet in many cases and is definitely not Healthy for the consumers who buy it from them. $3-$10 per cup at the Coffee Houses seems “inflated”, not the 80 Cents HHG charges for theirs. Regarding Dubious Health Claims, all one has to do is research the Typical side effects people have that consume Regular Coffee and the list looks like the Who’s Who of Illnesses and Chronic Conditions. On the other hand, people that consume Ganoderma Coffee have been documented to have health improvements and for people that were not able to stomach/drink regular coffee without Diarrhea, Acid Reflux or other side effects, this opens up this new ability for these folks for the 1st time. If there was NO profit and NO ability to “cash in” on this, then please explain why people like Holton Buggs have come out of literally nowhere and created large residual incomes in the past 3-4 years displacing many of the top 100 MLM earners worldwide. Holton currently makes $1.3 Million per month and he is not even the owner of Organo Gold. Seems to me that there is room and opportunity for those who put in the effort and want to make a career out of it. I appreciate all the different points of views as we are all entitled as adults and business people to our own unique take on things. However, this is what differentiate “FACTS” from mere “OPINIONS”===> I do not like to make claims I can not back. Documentation beats conversation every day. Can any of you Healthy Habits affiliates fill in the blank as to why Fitzgerald left Gano Excel? Silvia Shamus: 80 Cents per cup of Gourmet Coffee is hardly selling high “inflated” priced coffee. Coffee Houses or establishments that sell coffee charge a lot more than this mere 80 Cents and the coffee they sell is not Gourmet in many cases and is definitely not Healthy for the consumers who buy it from them. Anecdotal health claims aside, without the attached compensation plan, it’s instant coffee, plain and simple AND cannot be purchased in small quantities when required. As if diseases and “natural” poisons aren’t natural… Any one heard of hemlock? Or Ephedra overdose? Silvia Shamus: Documentation beats conversation every day. The only problem I have is that you only get $480 dollars of product in the Executive package yet it cost $999. It is also nice to see how other companies have used Organo Gold as a guide to open their business, because all they have stated about giving free samples and having coffee events OG has done that and still does. the only thing is never make health or money claims. K Chang I take it you are not big on healthy coffee. Thomas Taber: only thing is never make health or money claims. Exactly. Both are potentially misleading if not followed up by the proper disclaimers that FTC is now requiring… even in tweets. HAHAHAAH I enjoy reading your comments K. Chang. And a bit of advice to Organo Gold (and Healthy habit or any other MLM…) Do your MLM thing ON YOUR OWN TIME. You don’t want to end up like Chuck Dewayne, who, despite making 141K a year in his day job, used time AT his dayjob to write plans about abusing his power to push Organo gold to the people under his administration to make millions of bucks… and he’s a public official. FORT COLLINS, Colo. – A high level school district administrator outlined a business plan to personally profit in a direct-sales business by leveraging his position within the district, documents obtained by 7NEWS show. The teachers’ union alleges this was a conflict of interest and wants him to be fired. Chuck DeWayne currently serves as the Executive Director of Human Resources for the Poudre School District (PSD) in Fort Collins. In this leadership role, DeWayne sits on the Superintendent’s Cabinet. He is charged with overseeing the entire HR Department, which serves more than 4,000 full-and part time PSD employees. Taxpayers pay DeWayne an annual salary of $141,820, according to school district records. HAHAHAAHI enjoy reading your comments K. Chang. Just keeping it real, man. I have no problem with enthusiasm. I have problem with MISGUIDED or BLIND enthusiasm. I love coffee and I might look into this OG. But first let me read the review here. Jay Hosmer: There are over 2 billion cups of coffee consumed each and every day worldwide. There are over 1.7 billion servings of Coca Cola sold every day worldwide. Why not get into Coca Cola ?? Twenty-six billion rolls of toilet paper, worth about US$2.4 billion, are sold yearly in America alone. Why not get into toilet rolls ?? Why not get into oil ?? As a recruiting tool for unscrupulous MLMers, the figure may have some value. For someone genuinely looking for a viable long term business, the figure is valueless, ESPECIALLY if the potential recruits’ knowledge of the coffee biz extends as far as how many cups are consumed a day. Imagine a toilet paper MLM company…Lord knows we need it because the alot of Ponzi Sh*t is flowing these days. I can not comment on the coffee it’s self, I trust that it’s a good cup of Joe. What my problem with this and most MLM’s is that you have to go outside the company to get the right marketing tools. I might be wrong but, I don’t see how this is easy enough to market for the average person. I do not see where the company offers capture pages, autoresponders, and such. Why invest in a company that does not invest in there distributors? I don’t want to pay additional fees to other companies like Aweber or others to market another companies product. This is what causes frustration and confusion in the market leading to a high turnover. Get real with your distributor tools and include them in your back office for no additional cost. I have tried other healthy coffee but have to come to find that the HHG coffee is the best tasting. I have been taking the coffee for the past 6 months and I have found that it has made a big difference in my health, as well as others around me. HHG has TAGG in it so the health facts are huge. I had a breast tumor in my left breast. I was scheduled to have it removed going in for my pre-op they had found that it had shrunk they thought it was a miss read but they had the correct results they asked me if I had started radiation or chemo. I had not taken anything different except taking the HHG coffee. They postponed my surgery I went back 3 weeks later and it had shrunk even smaller the last check nothing was there. my limp nodes have gone down too. Healthy habits global in not just in to coffee and they have other products that are just life changing. i hope you are fully cured by now. but, please refrain from publicly saying that you were cured by a coffee, no matter how nice tasting. it is very dangerous to say this, as it may misguide other patients. is your doctor recommending HHG coffee, to all his cancer patients, after seeing the results on you? has he sold his chemo machines? have you heard of the placebo effect ? Has anyone followed up with what HHG is doing now? Its exactly what is was doing 4 years ago – nothing. Sales in 2015 were only $56000usd that says something doesnt it? Coffee is mediocre, packaging terrible, marketing material embarrassing but most important its so poorly run with terrible management, shipping nightmares, unauthorized CC orders and misleading info to have affiliates join. Stay far away from this one folks! It has brinked bankruptcy before.